OARS held two workshops on "Assabet River Restoration: Understanding the Impacts of Dams in Your Community" in Westborough and Maynard in March 2009. Links to presentations, presenters, and lots of other information generated by and for the workshops are below. The workshops moved the discussion forward in a collaborative way among the 100 participants, building a sound understanding of the science and policy behind these issues. Background: The communities of the Assabet River watershed have been working on protecting and restoring the health of the Assabet River for people and wildlife for over two decades. There has been much progress, thanks to the dedication and time of municipal governments, land owners and volunteers, yet more work remains to be done. Stakeholder Engagement: In Fall 2008, OARS held eight advisory sessions with a diverse group of stakeholders' including municipalities, land owners, community groups, and dam owners' to find out what values the river holds for them. In these sessions, we sought the broadest possible range of viewpoints, questions, concerns and visions regarding restoration options. A workshop planning committee was formed from this group to design workshops to address many of the questions raised in the advisory sessions. For a summary of the advisory sessions, click here. Facilitation: We are very pleased to have Patrick Field of the Consensus Building Institute as a facilitator for the workshops and advisory sessions. CBI has also prepared a podcast of "Voices about the River" from the advisory sessions which was played at the workshop. Innovative keypad polling was used at the workshop to enable all attendees to participate actively. The Assabet River Total Maximum Daily Load (TMDL) for Total Phosphorous (2004) identified municipal wastewater treatment plants and sediments behind dams as the major sources of water quality impairment. Comprehensive Wastewater Management Plans were completed in 2007. An Army Corps of Engineers Study (Assabet River Sediment and Dam Removal Feasability Study) was completed in 2010. The Corps study considered the potential of sediment and dam removal to reduce recycling of phosphorus from the sediments (sediment phosphorus flux) in the Assabet River. 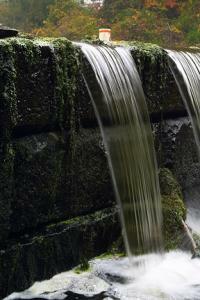 "Dam Removal in Massachusetts: A Basic Guide for Project Proponents." Executive Office of Energy and Environmental Affairs, 2007. "Dam Removal and the Wetlands Regulations." Mass. Department of Environmental Protection, 2007. "The Ecology of Dam Removal: A Summary of Benefits and Impacts." American Rivers, 2002. The Mass. Riverways Program "River Restore" webpage contains local case studies and other information at: www.mass.gov/dfwele/river/programs/riverrestore/riverrestore.htm. "Sediment Studies in the Assabet River, Central Massachusetts, 2003" by USGS can be downloaded (20 MB) at: http://pubs.er.usgs.gov/usgspubs/sir/sir20055131. Confronting Climate Change in the U.S. Northeast, Union of Concerned Scientists.